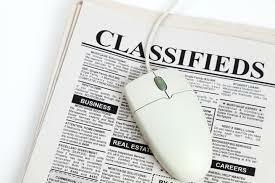 (MENAFN - Newsroom Panama) THE NEW illustrated classified section of Newsroom Panama is now in place and registered subscribers can post free ads in the new unique classified section. Ads to rent or sell an apartment, a car, yacht or furniture send greetings or promote an event or your business can be 100 words long and include illustrations and a video; will run for 28 days unless renewed (free). Each ad will have some 170,000 impressions. A subscription gives full access to all stories 365 days a year and costs only 8 cents a day ($30 a year). The subscription offer extends to March 31. All current and new subscriptions will last until April 1, 2020.